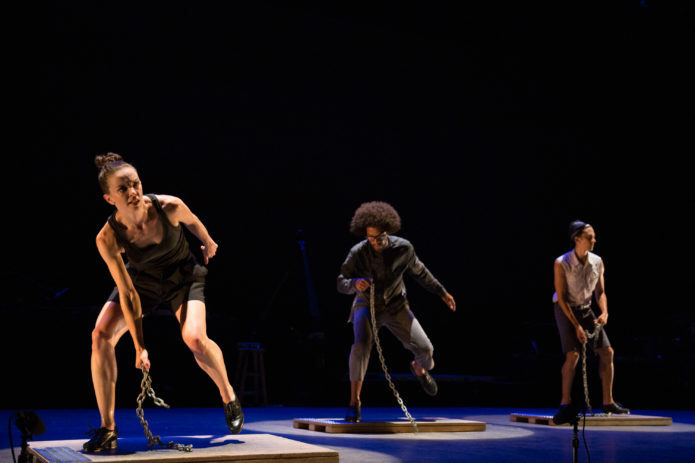 We spoke to Michelle Dorrance, founding member of tap sensation Dorrance Dance, about her career to date and the inspiration behind her work. 1. Tell us a bit about Dorrance Dance, how did the company come about? The truth about what elements in my life led me to establish Dorrance Dance: I danced for almost too many New York City-based tap dance projects, companies, and choreographers from my late teens through my mid-twenties. I developed a solo career during that time as well, which extended through my time performing with STOMP in my late-twenties. I simultaneously started playing bass in my best friend’s band (Darwin Deez – who had some great songs in rotation on BBC Radio 1 not too long ago!) and we toured the US, UK, parts of Europe and Australia, before I realized I was trying to do WAY too much. It wasn’t until I broke my foot at the age of 30 that I was struck with how pertinent it was for me to put my vision for the possibilities I saw in tap dance, and in very specific tap dancers, first. This timing was met with a great opportunity to premiere new work at New York City’s beloved Danspace Project and the company was formed! More formally, I created Dorrance Dance in hopes to share the incredibly dynamic range that tap dance has to offer; in order to engage with audiences on a musical and emotional level through dance; in order to spread the great history and legacy of this American art form throughout the country and the world. Of course, I love experimenting, creating my own work, my own choreography, my own compositions, but I love sharing the brilliant individual voices and styles that are pushing the form forward today. 2. How did you first become interested in tap dancing? By 8 years old there was nothing I loved more than tap dance. What could possibly be more exciting than being a dancer and a musician at the same time?! My mother was a professional ballet dancer and I studied at her school from age 3 to 17. During this time, I was incredibly lucky to have Gene Medler as my tap teacher and mentor. He sought out the living masters of our form (people like “Honi” Coles, Buster Brown, “Peg Leg” Bates, Jimmy Slyde, The Nicholas Brothers, Cholly Atkins, who at the time were in their 70s, 80s, and 90s) and he took us all over the United States to study with them. He is a master educator and taught us the history of tap dance, its cultural significance, and its unique nature as both a form of movement AND music. I performed throughout the States and internationally with his North Carolina Youth Tap Ensemble (NCYTE) for 10 years and I am the dancer I am today, because of him. 3. ETM: Double Down uses electronic boards to add to the sounds of your footwork, can you tell us about how this works? What does this add to the performance for you as a performer? ETM: Double Down features what is essentially an electronic drum kit for the feet, designed by my choreographic collaborator, co-creator, and dear friend, Nicholas Van Young. Each small board that we play with out feet (we call them trigger boards) is connected to a computer and can be assigned any sound, note, instrument, anything you can imagine! Then, the entire set can change! Nicholas originally designed this particular way of interfacing with the technology in order to compose music live WHILE dancing/soloing to it. What we have been exploring in ETM: DD is the way our percussive composition/choreography for our feet can interface with a musical composition, where sometimes the dance is literally the dance of playing ONLY the melody or baseline of a song, and sometimes the dancers straddle the playing of a few notes each in order to make up the entire composition, while simultaneously executing separate tap choreography/percussive score. When you are in the midst of it, it is totally mind-blowing. 4. As well as using the electronic tap boards, ETM: Double Down also features live musicians. What’s the process of creating a dance piece so integrated in music? Are the musicians involved from day one? First and foremost, we work with some very special musicians who love and respect tap dance and have a tremendous sensitivity to its collaborative, percussive compositional element. The development of the original music that we use in ETM happened in a myriad of ways so I’ll give you a number of fun examples: Nicholas Young, my co-choreographer composed some of the oldest segments in the show and was working on those before choreography started. He was the only composer around for “day one”. Greg Richardson, our bassist, composed a brilliant work for fun while we were in the creative process for ETM: The Initial Approach, never intending to have to play it live, but we absolutely fell in LOVE with it so he adapted the entire build of it to his looping pedal in tandem with dancers playing a repeating patterns on trigger boards that shift every 20 counts! When we realized how we wanted to introduce ETM: Double Down to the audience conceptually and logistically, we asked one of our dancers, Warren Craft (who is also an electronic music composer), to work on the very opening segment for the show with very specific guidelines in relationship to how many trigger boards we could move with x number of dancers on stage at once. Once we were working on a section we call “piano” (in which 16 boards are lined up side by side), Donovan Dorrance, our pianist/controllorist (also my brother), composed an entire piece with the direction of dancers’ movement up and down a scale, toward and away from one another, in mind. And our vocalist, Aaron Marcellus IMPROVISES compositions (literally composing live every night) by layering his vocals on top of themselves using a Nintendo wi-mote. The compositional process for this show is incredibly arduous, but also extraordinarily rewarding!! 5. You were here at beginning of the year, performing an extract of ETM: Double Down as part of Sampled. 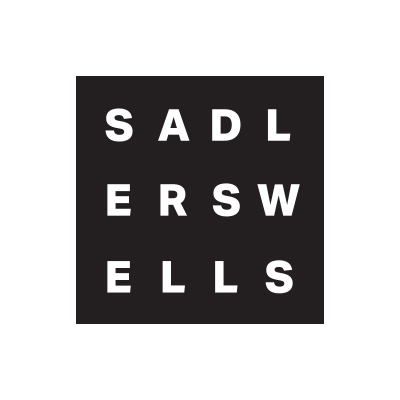 What are you most looking forward to about performing the full ETM: Double Down at Sadler’s Wells? We are most looking forward to connecting to, engaging, and ROCKING with the beautiful people of London, sharing with you all what we love most, illustrating how cutting edge and sophisticated tap dance is and inspiring less familiar audiences to see the endless possibilities in it! The extract we performed for “Sampled” was a tiny glimpse into only the acoustic section of the show. 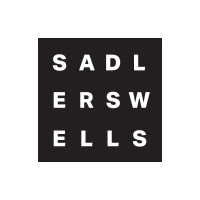 We are using this technology on a scale and in a way that has never before been done and we are SO EXCITED to bring this work to London and are honored to be performing at Sadler’s Wells! You can see Dorrance Dance in action 12 – 15 July. Click here for more details.